The quality of the Pulses Color Sorter Machine is rigorously checked before delivering at clients end. This machine is best suitable for sorting pulses and removing various impurities from it. Offered machine is precisely manufactured using high class components and sophisticated technology by our skilled professionals. The provided machine is available in plethora specifications laid down by our prestigious clients. 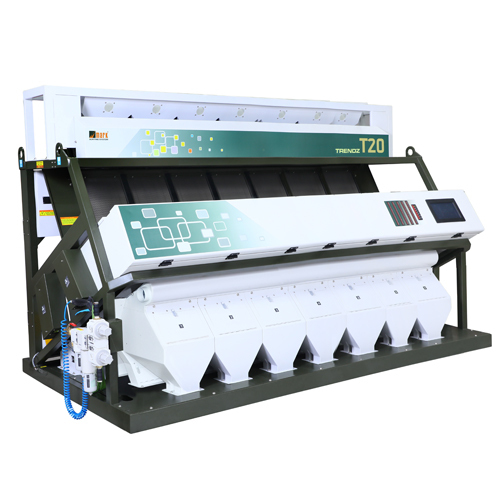 We offer this Pulses Color Sorter Machine at industry leading rates to the clients.